In 2012 we have put lots of love and effort in renovating our holiday home. Modern and comfortable, it accommodates up to 12 people (7 adults and 5 children up to 10 years-old). 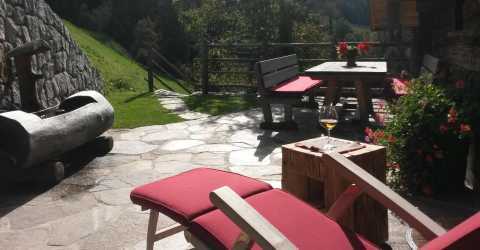 The Obereggerhof holiday home is the ideal accommodation for larger families, small groups of friends or multiple families looking for a holiday home in a first-class refuge. 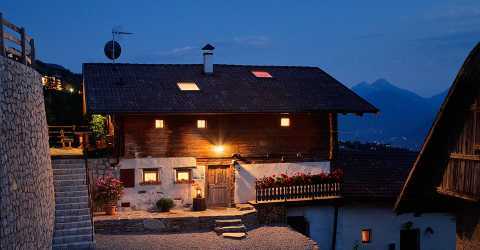 We put all our love and effort in preserving the original charm and cosiness of the old Obereggerhof farmhouse and combined it with new natural building materials. This way our guests can enjoy the charm of an original rustic farmhouse whilst taking advantage of all modern comforts. 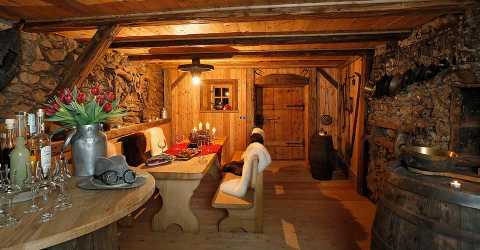 - original characteristic wooden "stube" with romantic country stove, large dining table for up to 12 people, sofa bed (for two people) and flat screen TV. 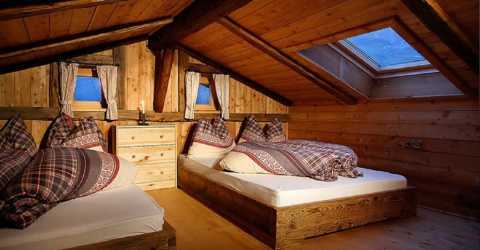 - double room with pine wood panelling. 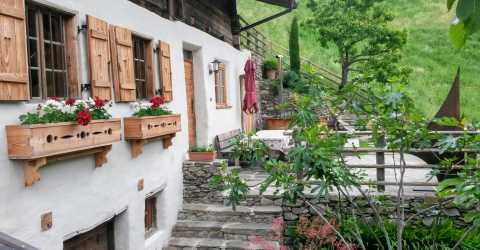 - This characteristic stone cellar built in the 15th century is the ideal place to celebrate and spend quality time with your loved ones. 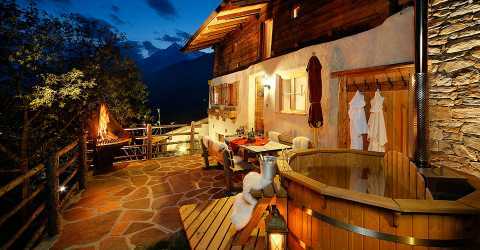 - two terraces with benches, barbecue-area and jacuzzi. The holiday home has a central heating system (radiators and underfloor heating). In addition, we offer free WiFi access which can be deactivated for electro-sensitive guests. Please respect the historic value of the old farm and consider the ancient building standards. Especially if you have small children the steps on the stairs and the door frames don’t match current building standards and proportions.